Luke Combs is on top of the country world right now. 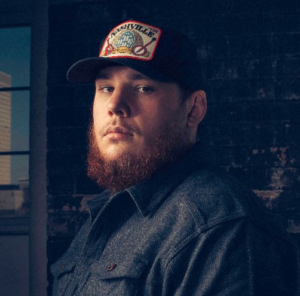 How cool is the Luke Combs story? This guy was just writing songs and releasing EPs on his own. He claims that he was getting ready to record another EP when some folks got wind of his Hurricane. He scrounged up enough cash to get it mastered. That led to one step with the right management. Then it got in SiriusXM. Then fans started loving it and before too long Luke was on a major label. The song went to #1 on the radio chart. His debut album just came out and debuted at #1 on the country charts and at #5 on the Billboard 200. Now the pressure is on for a followup and I think Luke has another good one for us. I heard an interview or something where Luke said he was kind of taking inspiration from Brad Paisley on this one. I think he meant that he was being a little tongue in cheek. Kind of using a little sense of humor to flip a situation on its head. This song is about a breakup. A guy initially thinks that it’s going to be the worst thing in the world. And often that is the case. But then he remembers all the good things that will happen as a result. He can move on. He doesn’t have to see his ex mother in law anymore. He can move on with his life. Enjoy being a bachelor for awhile. Golf, drinking, having fun at the game. All kinds of things. And that’s the hook of when it rains it pours. Something bad happened, but now it’s pouring good fortune. I’m on board with what Luke Combs is doing. He’s bringing a traditional sound to modern country. I’m rooting for him.